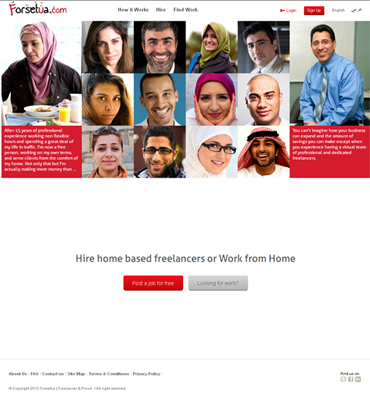 The Project http://www.forsetna.com/ is the first freelance marketplace where businesses hire and work with qualified professionals in Middle East for projects such as Web design, marketing writing, and engineering. 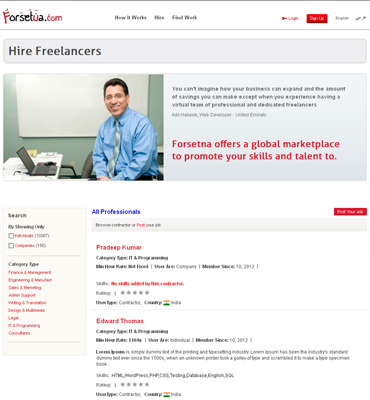 Forsetna facilitates the entire work process from hiring to collaboration to payment. Project Challenges Idea is to design and develop a Marketplace for the collaboration of Service Provider and Service Buyer. Site allows service providers to apply for the project posted by buyer with a proper payment feature and track on the milestone which are created regarding the project and can be properly managed. The Endeavor Forsetna has been developed by keeping in mind for the user in Middle East to post their project and can get a good contractor to work on his project. Registration is mandatory for service provider to apply for the project and service buyer to post projects on site. Buyer can post projects in various categories. Virtually there is no limitation to the project categories. Provider can apply for the project by placing his/ her proposal. Estimated budget, time to complete project and other details are collectively referred as provider's proposal. 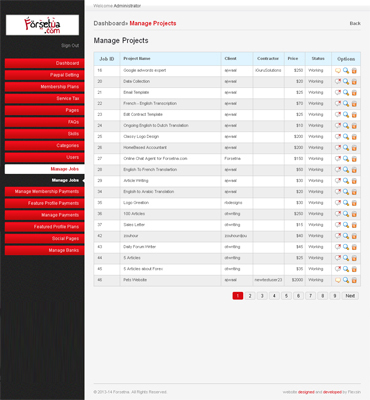 Internal message board is associated with every project applied by provider. Provider and buyer can share job related details or documents via the message board. Review & rating appear on provider and buyer's profile. Site features Escrow system to offer users (provider and buyer) with secured payment option.